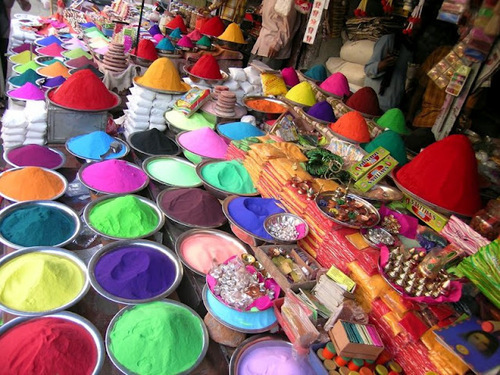 I'm not Hindu or anything, but I think the idea of Holi celebrations in the spring are really awesome. Yes I know it is summer, but I came across a picture of a Holi Party and I immediately added attending one to my my list of things to do. This is basically a "Festival of colors" where people shake off the dull and drab of winter. It is primarily celebrated in countries with large populations of Hindus. 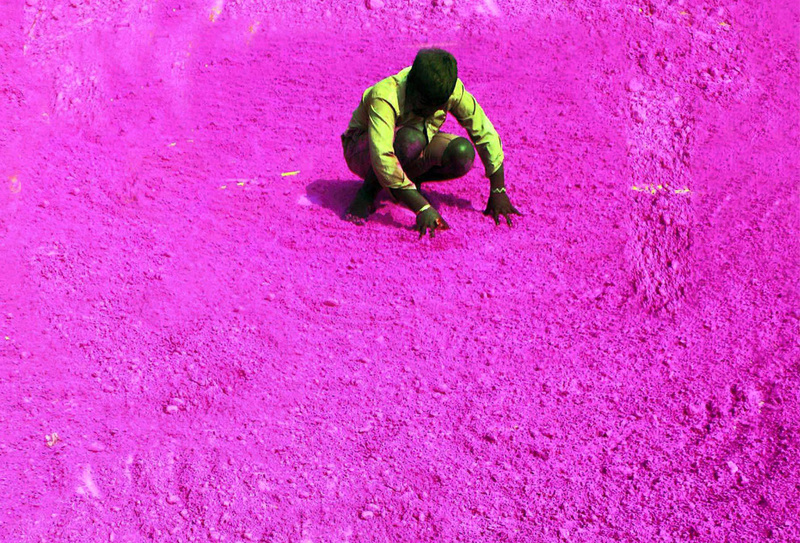 On the most important day, Holi, they throw colored powder and colored water on each other. You can read more about it HERE. I think it is really interesting and would be a cool experience one day. I think I am drawn to the colors. PS: How do you drive home from a Holi Color Festival? I want to know. well in India most cars are like golf cart types with no windows or anything. And then plus almost everything in India is dirty. lol! @Mary wait... really? This is all so new to me. UT Austin does an annual Holi festival on campus. It's a lot of fun. I have a multi-colored afro at the end of it, but it washed right out!